Dropped in the clouds from another piece. The ink drawing was too spare...and needed it. I think they helped. 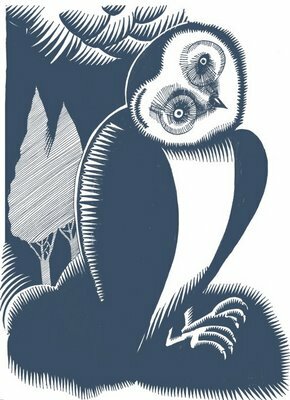 Also,putting my Virginia Lee Burton hat on (particularly evident in her inspiring illustrations for Robin Hood)--I should redraw the field the owl is sitting on...regularizing the ground shape).